Hey there friends! 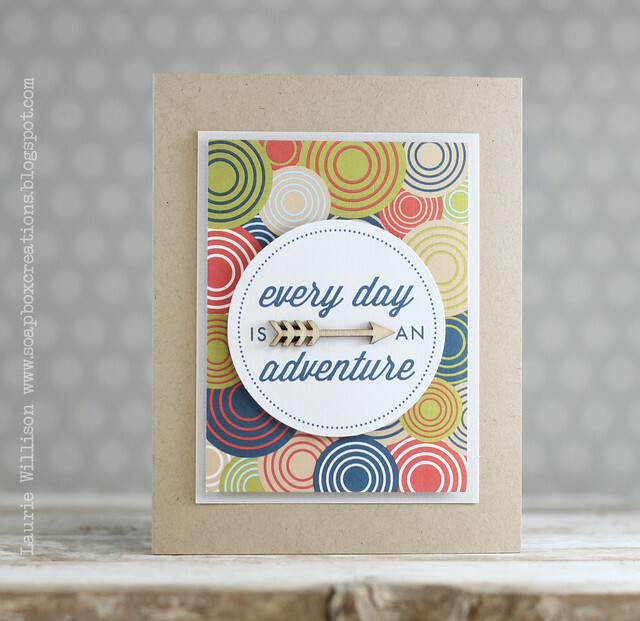 Are you loving what have seen so far for the July Release over at Papertrey Ink? 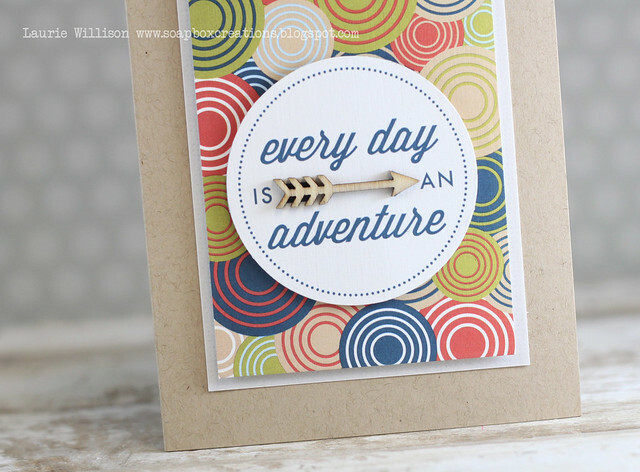 Today we are showcasing the new Monthly Moments: July paper pack, stamps and dies. I made a card using only 4 things. Easy! Mat: PTI Linen Vellum...oh my! So gorgeous! I used a large circle punch to pouch out the sentiment and then popped it up on foam tape. I matted the patterned piece with some of the amazing Linen vellum (a must have for your crafty stash!!) and then added in a wooden arrow to finish it off. I am SO excited about the Monthly Moments supplies because it has triggered a little scrapbooking in this house. I actually printed pictures and I have a binder and some pages. Stay tuned! I need to practice but I am thinking I will get the hang of it pretty quickly. I love how easy it looks and I can't way to finish a page. Thanks for coming by today! See you tomorrow! Oh, I love this, Laurie! The bright colored background mixed with the neutral embellishments look great! well i just love your card! so perfect! Love the fun summery colors. Great card! It looks like it would take a lot to make it but your clear narrative makes it simple project. Thanks so much! The wooden arrow sure added some texture and umph to the wonderful sentiment. This made a fabulous quick and easy card. Love that journaling card! And I can't wait to see some of your layouts!!! This is such a fun card, Laurie! Love it! I love how you worked your magic with the MM goodies!!! !